SOME MORE OF MY NOTES! We were learning about Mission Statements and Vision Statements, which are apparently different things. So, yep. 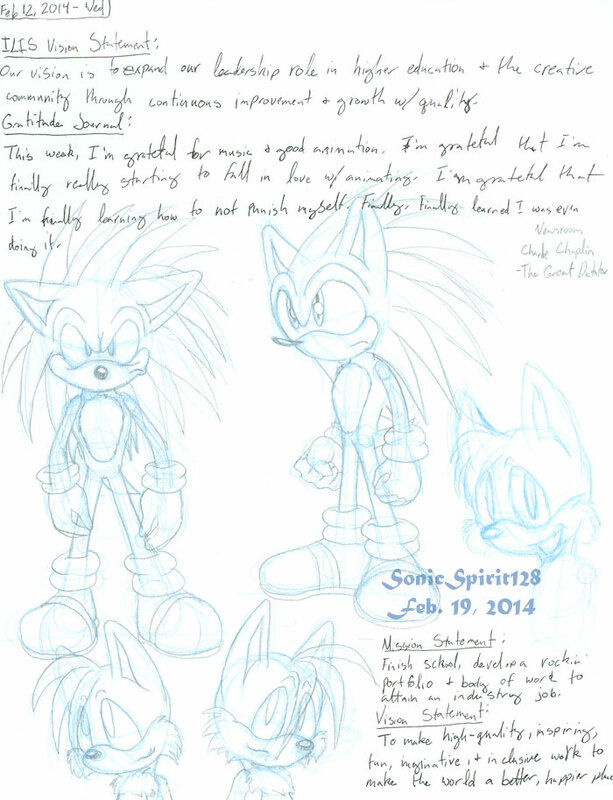 That and Sonic spinestyle experiments, and some drawings of Tails!